Many people hoard furniture, kitchen gadgets, collectibles, cats, all kinds of stuff. Me? I hoard shells and crap I find on the beach. 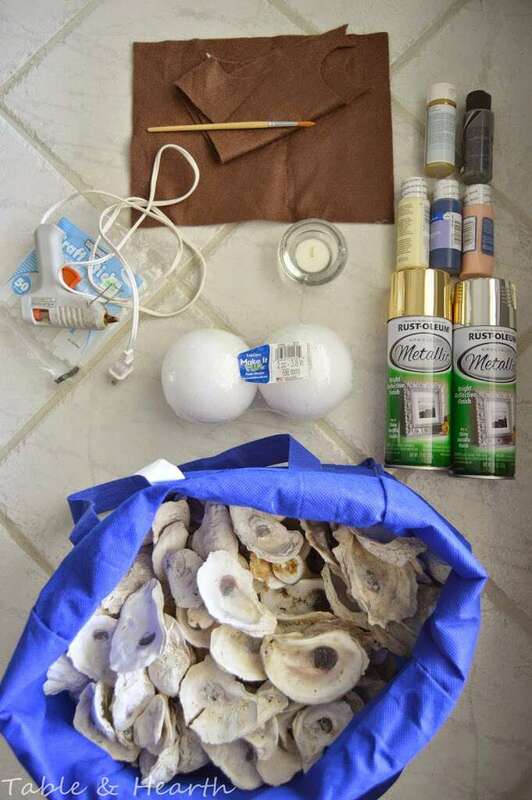 So at this very moment in our garage, there’s an entire bag of driftwood, an entire bag of barnacles, a bag each of turkey wings, scallops, and cockle shells, an entire bucket of seabeans, and a bag of oyster shells and a frustrated husband. All aside from my normal shell collection of course. They’re all just so beautiful and perfect for crafts! It’s not even the marine biologist in me, it’s the crafter in me! 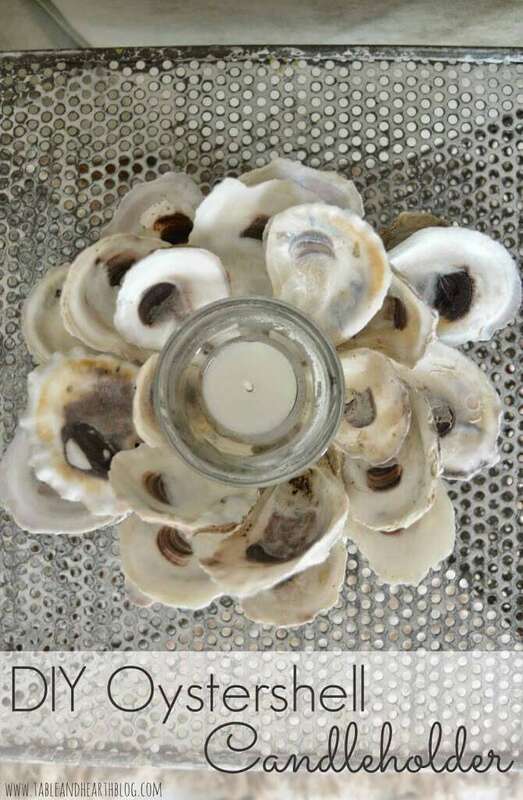 A few years ago, my fellow crafty friend Jenny and I were perusing one of the higher end home decor shops in Port Aransas and saw some huge, beautiful oystershell candleholders, which they were asking upwards of $100 for. We looked at each other and said “we can make that!”. We started amassing oystershells from beaches when we could and a few months later, went to the annual Oysterfest with friends as we do almost every year. Sometime between huge beers and many plates of raw oysters, it dawned on us that we were at the oystershell motherload and we needed to do something. So we were the two weirdo blondes carrying wet, disintegrating boxes of discarded, dirty, slimy oyster shells to our cars. So gross, even for us biologists. I wish we had a picture of us in action that day….sorry guys, we’re taken. It was all totally worth it though cause for years now we’ve been making pretty spot-on replicas of the fancy store candleholders (Jenny even made this amazeballs chandelier out of them too). I still have shells left from that day so I whipped up another one to share with you guys! 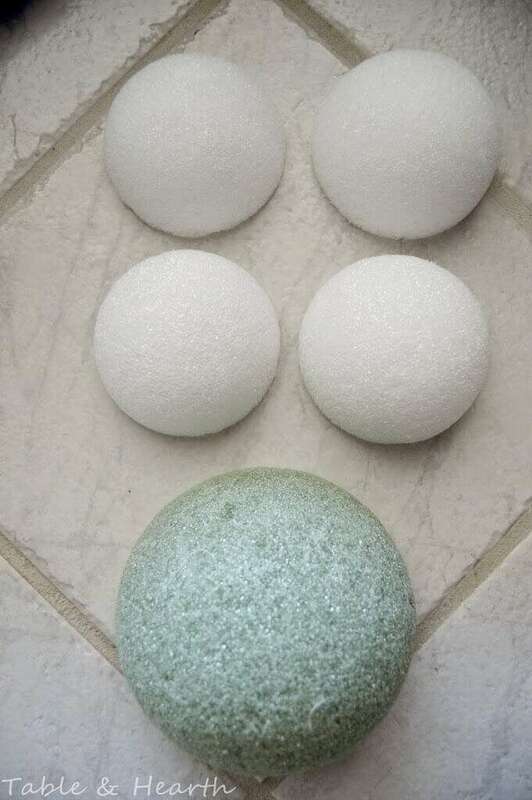 The size of styrofoam ball you get depends on how big you want your holder to be and what shells you’re using. But even the small ones can make a decent size holder so keep that in mind. The ball I used here was a smaller 4″ white one, which, for oyster shells, is about as small as you want to go. You can go smaller with smaller shells though. Cut them in half keeping the base as flat as you can (I used my bread knife). To keep the styrofoam from shedding everywhere and not scratching anything, I always glue a piece of felt to the bottom. 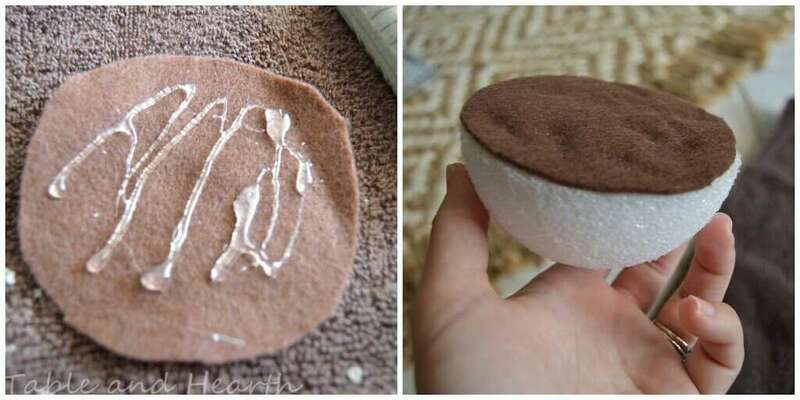 The hot glue will melt the styrofoam so I’ve found it’s better to put it on the felt, then put the styrofoam on top of that. Even still, it’ll melt it some (you can see the melted divits on the right). No biggie, it’s the bottom. Now, for the shells. You want to make sure they’re clean, dry, and not stinky so a good scrub, bleach, and sun dry are in order. Mine could be separated into three different “colors”, white, purplish, and a smoother brown. The oysters around here are mainly the same species, Crassostrea virginica, but I have a feeling the brown ones are something different than the purple and white but I’m not sure. They’re definitely different though and their insides are prettier. Pick out any that aren’t pretty on the inside or that have weird stuff on the outside, you want those that have a nice pearlescent inside. I made this holder out of the purple ones. The process is just globbing a ton of hot glue on the end of each shell, cramming it into the styrofoam, and holding for a minute or so till it sets. You will use a LOT of hot glue here, and hopefully not endure too many hot glue burns either. I lay out my shells in order of size and try to keep them even as I go, from larger ones on the bottom layer to smaller guys on top, stopping just short of the top so the votive holder can sit there. I usually add more hot glue around it once it’s in just to hold it better. You can line the top with felt too if you want (like the scallop one below), but I just left this one bare since you can’t really tell once the votive is on it. 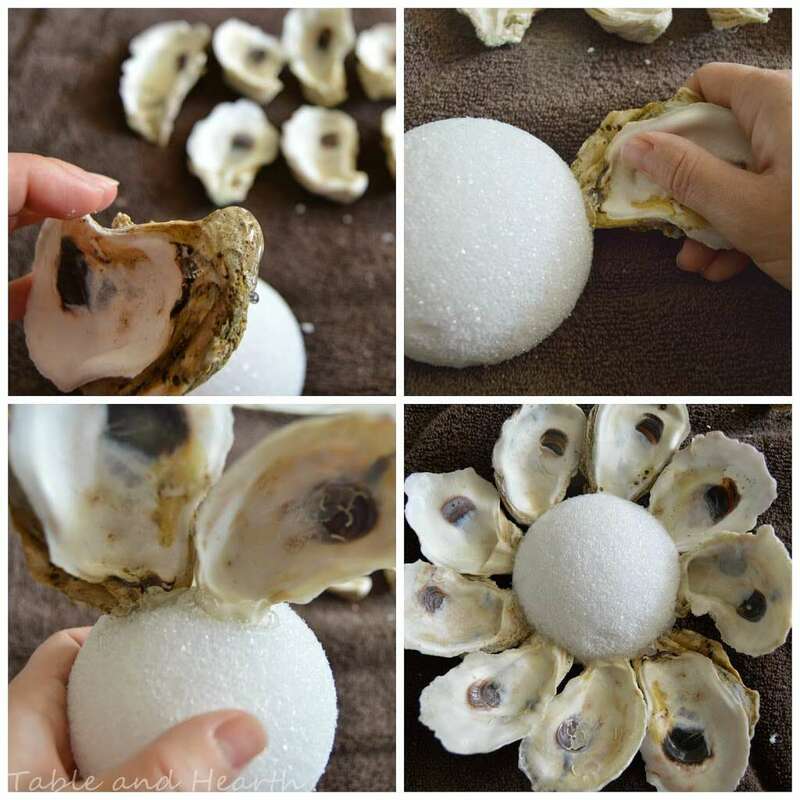 To hide the styrofoam better, put the shells in at a slight downwards angle and try to overlap them. Some styrofoam can still be seen if someone you look at it closely, just put it down low and give mean looks to your friends that say anything :) You can always put a piece of rope or something around the bottom where it shows the most, I was lazy and didn’t since this one will be on a low end table. 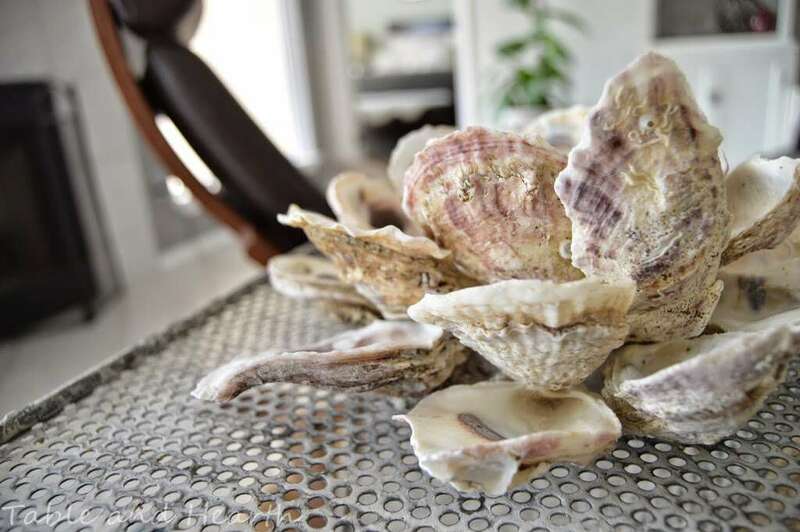 These can be made out of pretty much any shell, I also made one out of scallop shells and a free-form little guy out of barnacles. 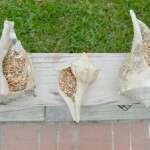 They are pretty fragile so move them around carefully and don’t pick them up by the shells. If one gets loose or pops out, you should be able to hot glue or super glue him back in though. The next one I want to do is out of the huge cockle shells. It’ll be a biiiig one!! I love this idea! 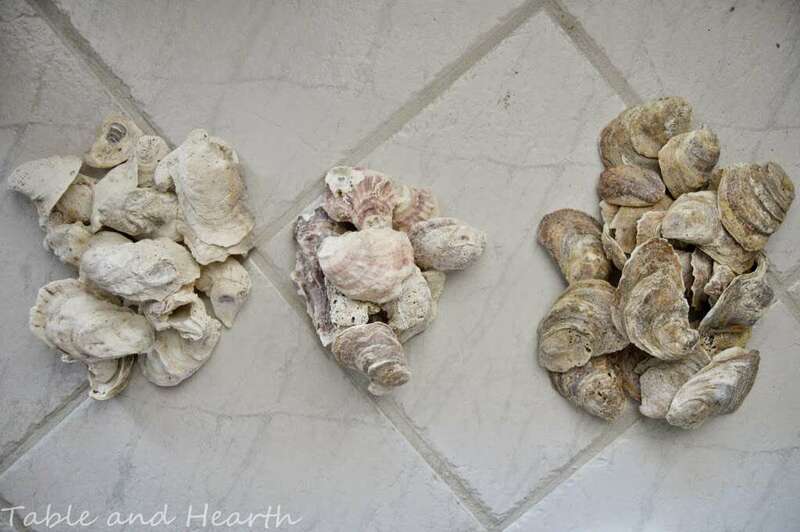 I think the barnacle one is my favourite though :-) I have started to collect a few shells every time we visit the beach but haven’t found any ‘big’ ones yet…I am definitely going to have a better search next time! 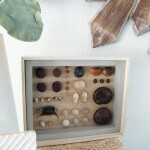 Thanks Erica :) Depending on what kind of shells you use they can fit in all kinds of decor I think! I LOVE this! 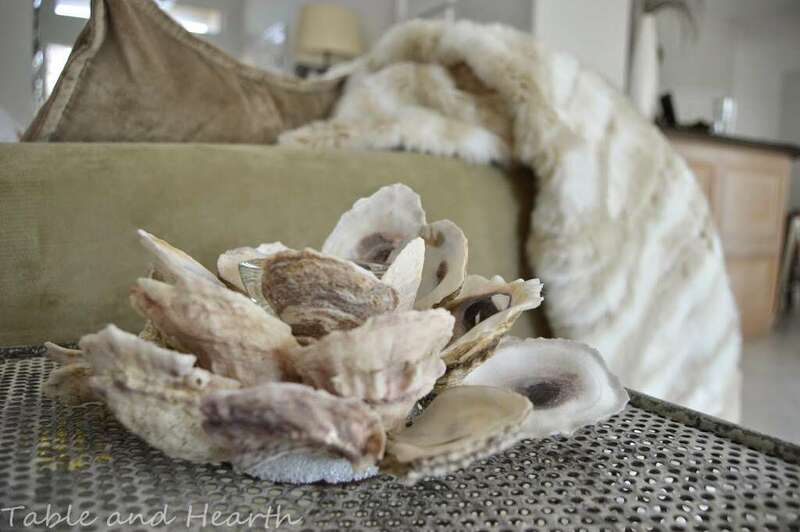 We live in Savannah and I am dying to frame a mirror with oyster shells–I need a few boxes of slimy shells, too. 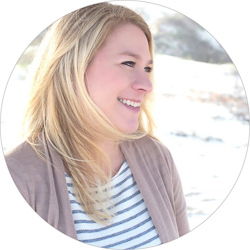 :) Thanks for linking up at the Pretty Preppy Party! Amazing and so unique! 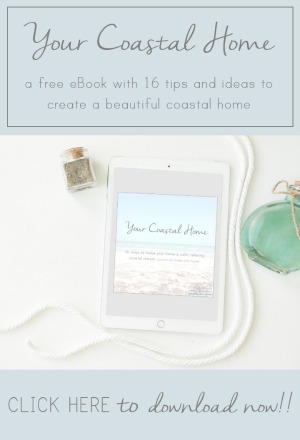 I love all the different possibilities for this project! 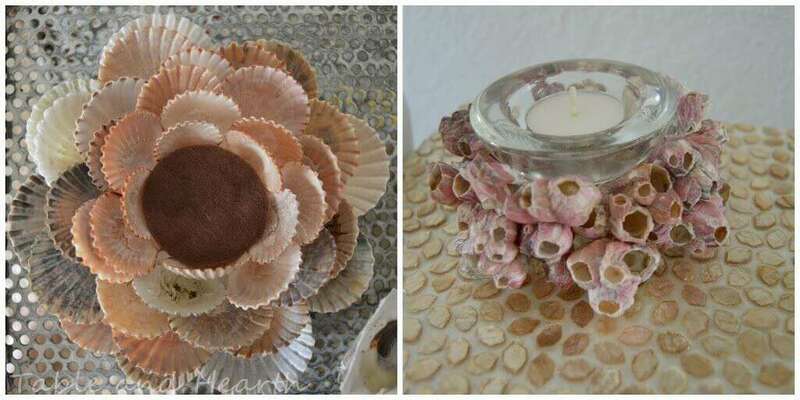 I have some shells that I’ve never known what to do with….this may be the perfect way to use them! Go for it Jamie! And send me pictures! Aw man, I wish I could give you some oyster shells to make that sphere! And so glad I’m not alone in hoarding miscellaneous biota for future crafting :) Better to be on reality TV for that than for moldy food and trash IMO! Beautiful! And as someone who has also lugged a box of slimy oyster shells home with her, I don’t think you’re in the least bit strange! 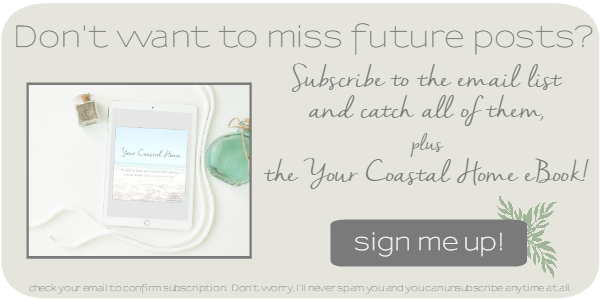 :) Pinned to the Pretty Preppy Party board (and thanks for linking up!). Stopping by after seeing this on Hometalk to get a better look. These are all so lovely. I can’t wait to give this a try. Thanks for the inspiration!